Cities Connection Project | LES COURTILLETS. LANCY, GENEVA. Location: Chemin des Courtillets 2,4,6, Lancy. The project is the result of an invited competition. The program includes twenty four apartments, retail space, public parking and covered places required for residents. The building completes a residential block. It is located along a gently sloping road. Upstream, the geometry of the plan establishes a head that rests on a place. 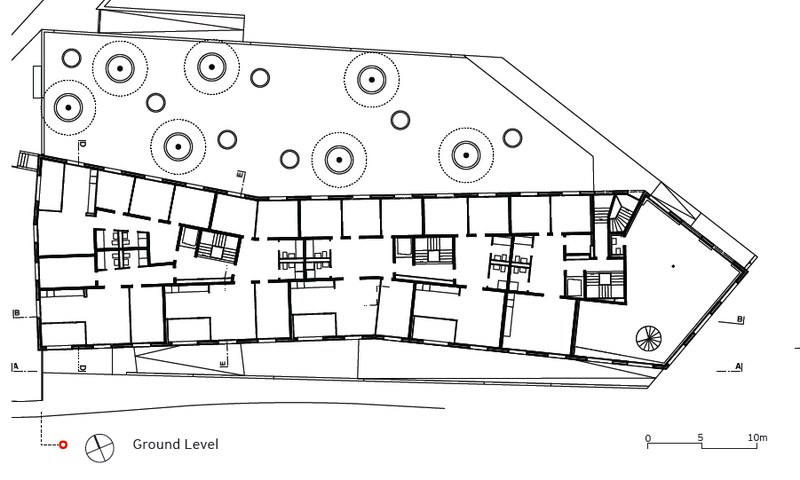 To reduce the typological constraints in terms of the residential portion is superimposed on that of the basement. Access to the building is managed by the choice of the reference level of pedestrian access to the lowest points of the side road. The flow is thus divided between the sidewalk following the natural slope of the land and a semi private outdoor plaza located low against the pavement which joined upstream by a ramp. This device is used to distribute three climbs through a single entry which gives the generosity of the common elements without damaging the potential of building housing unit. The building structure is reinforced concrete cast on site. 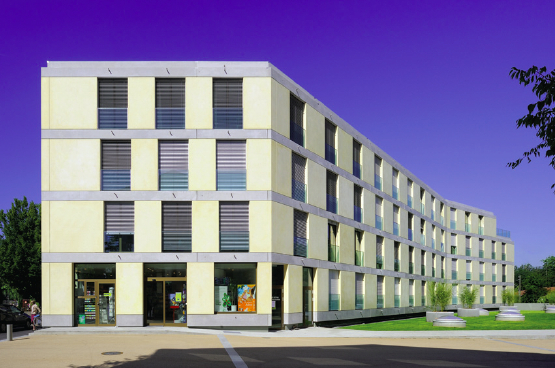 The carrier facades are precast concrete elements.